Coral Lines Project - donate a line, help a reef: Why Restore? Our Coral Reefs are incredibly important! In 2010, the World Meteorological Organization stated that the wealth of goods and services that our coral reefs provide could have a combined worth of more than $30 billion each year! A healthy coral reef provides us with food, tourism, protection from storms and is even a source for new medicines! If the system is damaged, it important for us to try and reverse the damage. There are many threats facing our coral reefs today. 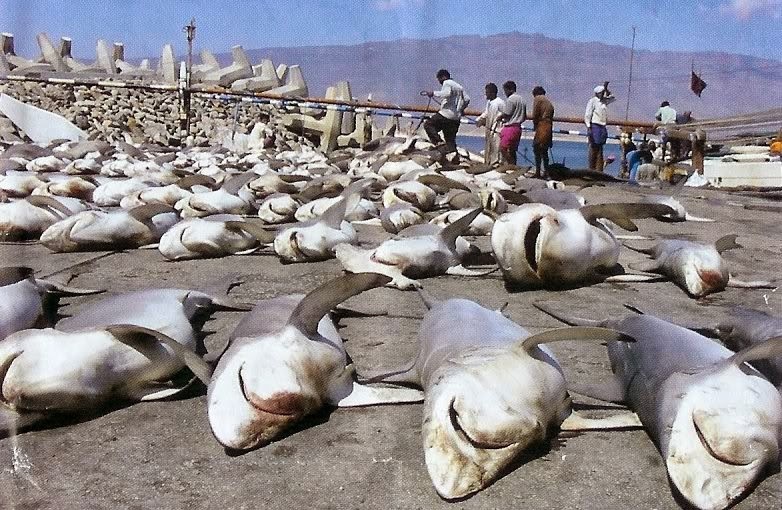 Over fishing of certain keystone species including various commercial fish species and even sharks; pollution caused by coastal development and agricultural runoff; and of course Climate Change, which has a whole range of knock on effects to our coral reef ecosystems. 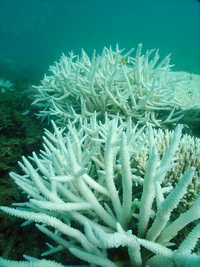 More severe and frequent storms and El Nino events being reported, increasing sea surface temperature which can cause mass bleaching events, and ocean acidification making it impossible for hard corals to calcify, are but a few subsequent effects of climate change! These threats are causing our delicate ecosystems to fall out of balance: Damaging, degrading and destroying the coral reefs. 75% of our coral reefs around the world are threatened, and some scientists say that there will be no corals left in some systems by 2100! In 1998, 90% of corals on some reefs in Maldives were killed by the rise in sea temperature due to a severe El Nino event. We suspect our One Palm Island reef is struggling to recover from these events, and so we decided to help it with a reef restoration project called the Coral Lines. Our reef has quite obvious zonation whereby the drop off is dominated by large Porites sp. boulder corals, soft coral and sponge. As we move inward toward the island, we have areas of small digitate and table coral formations, which have settled on unstable rubble. We have large piles of dead coral branches which are being slowly bound together by algal and sponge species. Corals are growing on these piles, but after reaching a certain size, they seem to become too heavy for the organisms holding the substrate together, and they get flipped over by currents or wave action. To restore this reef, or give it a helping hand with its own, natural recovery, we need to stabilize this substrate. Our aim is to use our ropes to criss-cross over the substrate and stabilize it. We have purchased pneumatic drills to use under water, whereby we will drill into the solid substrate beneath and nail the ropes down. The corals growing on the ropes will also begin to secrete calcium carbonate over the substrate and will hopefully be an added help to reinforce the substrate for new corals trying to grow. By restoring our One palm Island reef to what we believe was its original state, we will help to boost fish stocks for the local fishermen, improve the protective barrier the reef provides for our island, and increase biodiversity in general, making the area more beautiful for snorkelers and divers!